Nobody makes creating a Custom Multi-Tier 22" Public Speaking Trophy easier than Newline Trophy! 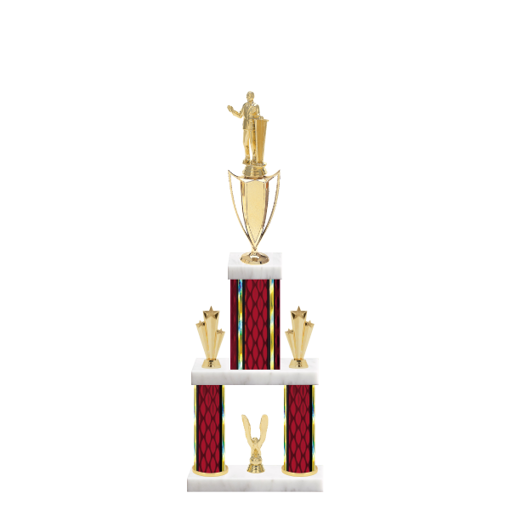 Try our Simple Web app today, and magically create a trophy online by choosing a Public Speaking Figurine, Riser, Color, Side Trim, Center Trim and a Marble Base Today. Over 1000 options - right here - right now! . . . and we make it easy by delivering directly to your door.